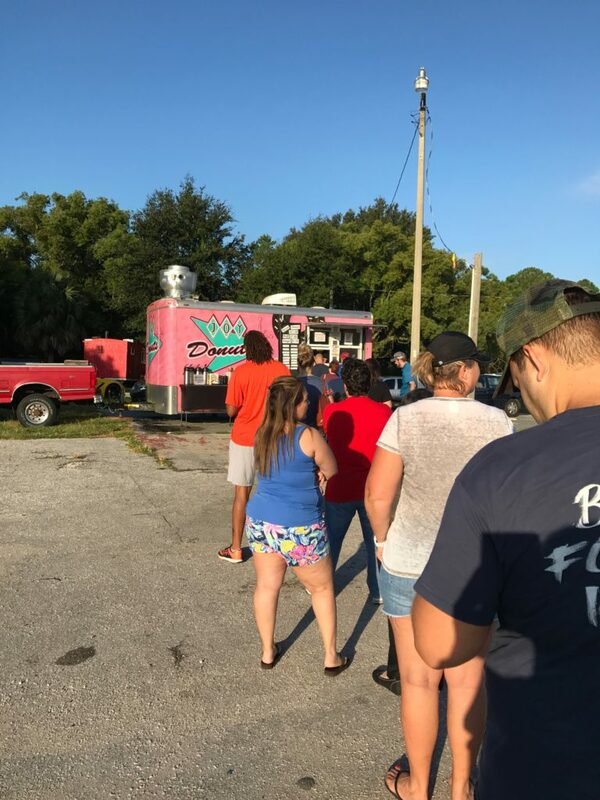 We love Joy Donuts in Mount Dora, and we’re not the only ones. 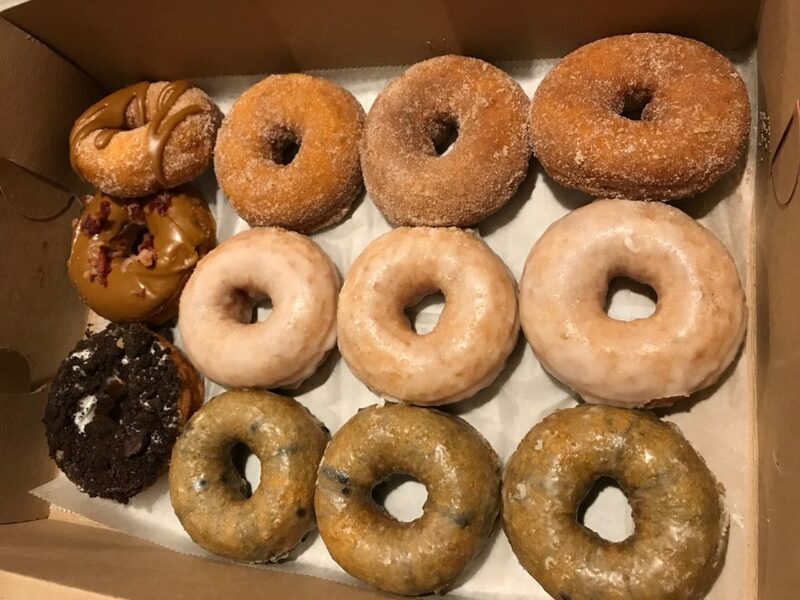 Joy Donuts has become a local favorite to our community, because they really do have the BEST blueberry donuts!! Not just because their sign says they do, but loyal customers KNOW they do. The love for Joy Donuts began with their Frosted Crack donut, but it didn’t end there. 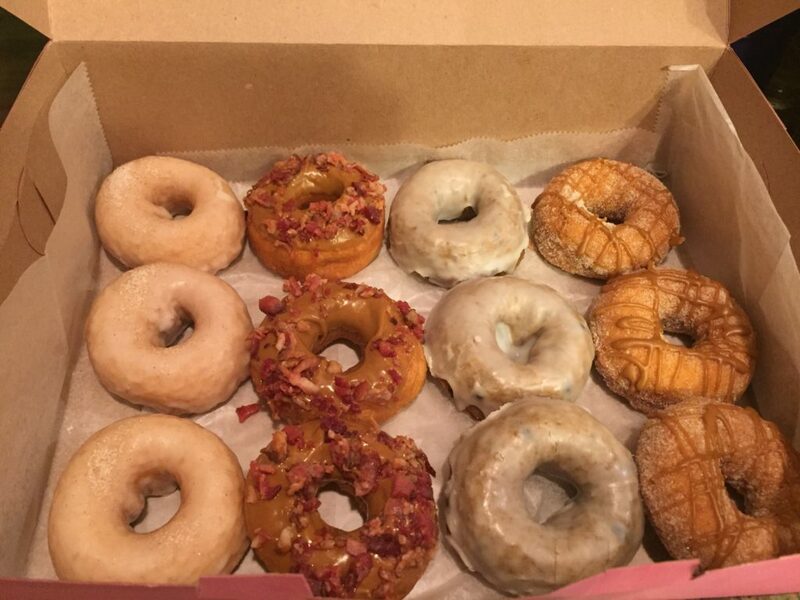 We’ve come to love, not just the Blueberry, but Frosted Blueberry, and even Maple Bacon Blueberry!! As you can see, our love still did not stop. We’re always up for sneaking in some others, like Boston Creme, Oreo, Fruity Pebbles, and French Toast. Or any other new ones we haven’t tried. 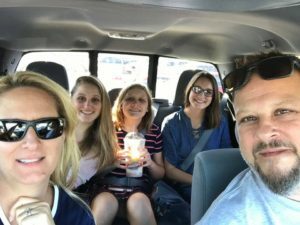 Our friends at Central Florida’s Best were able to visit owners Shane and Jennifer, to hear a little about how they came to be. As you ramble on through life, whatever be your goal keep your eye on the donut and not on the hole. Ends up we like to eat our donuts just like Shane and Jennifer. The box goes on the counter, we cut them into fours, then we graze. This way we get the chance to eat a little of everything!! 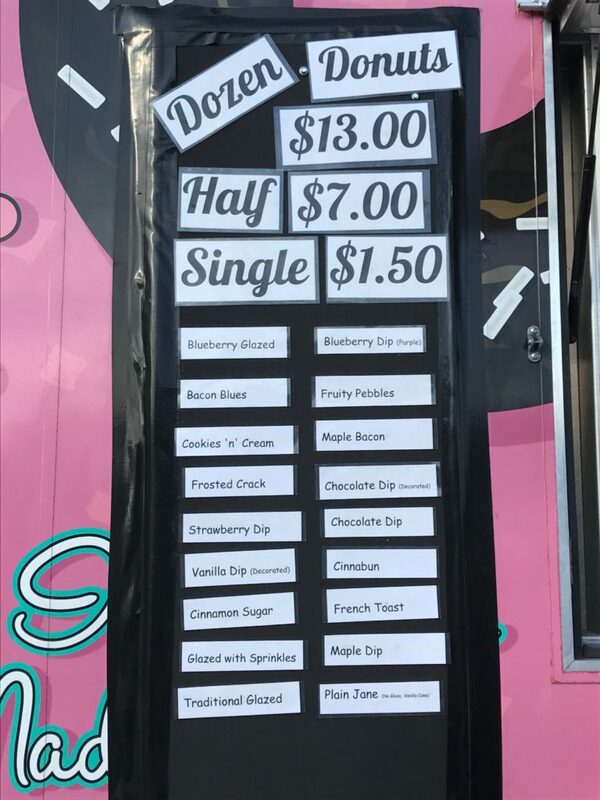 Our BIG TIP is to pre-order your donuts on their website. 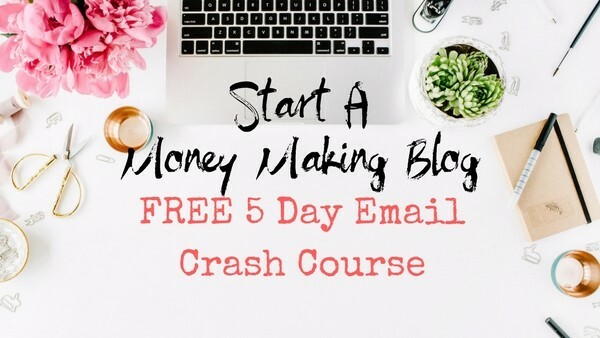 This allows you to skip the line, pay cash, and pick your donuts up at their back door. Otherwise you take the chance they run out, and stand in a line, like the one above. Plus, don’t forget to grab your free cup of coffee while you wait! 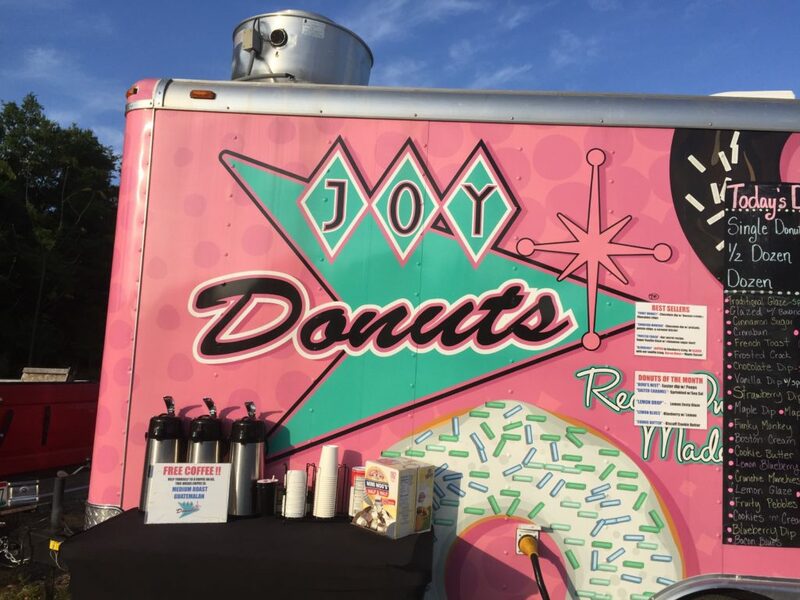 You can find Joy Donuts parked at the southwest corner of 441 and Limit/Wolf Branch. Now only open during the “winter season” on Saturdays and Sundays. Open at 8:00am both days, you can stay in the know by following them on social media. 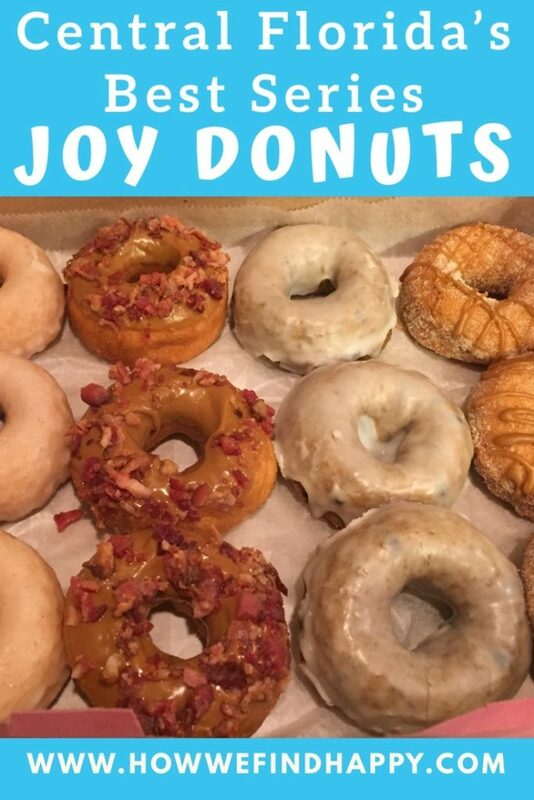 If you are a donut fan, then Joy Donuts should be on your bucket list. Now get them before they’re gone!! Not just sold out, but gone for the summer season!! Come connect with us on Instagram. 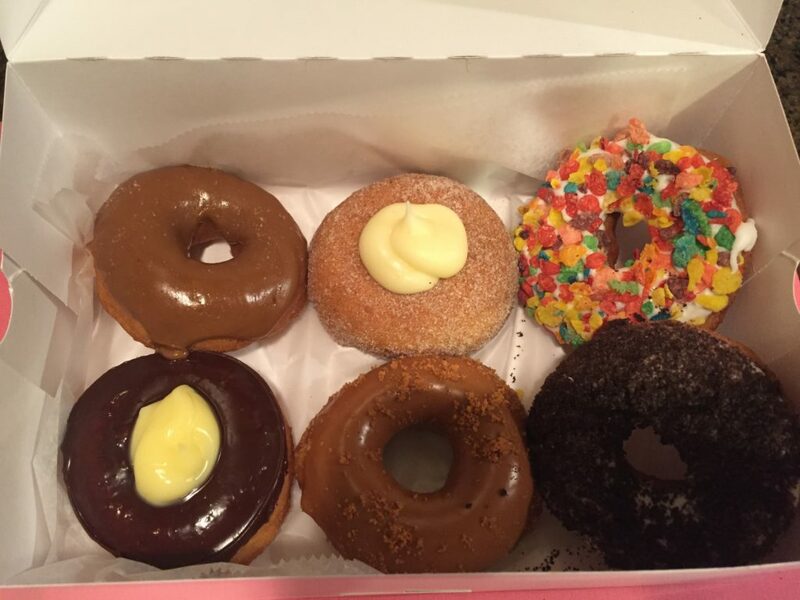 Tell us where you get your favorite donuts, so we can add it to our list!! I LOVE donuts !!!! This is making me hungry. I’ve been the same way!! I think we need to order some this week!! Love the trusting donut quote! Thanks!! Thought it was a cute one too!! They are well worth traveling for!! I feel the need to road trip to Mt. Dora!! These look delicious! Yes!! 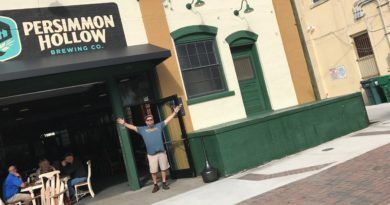 There is so much to do in Mount Dora! !